elcome to WoodCentral! This is the website where woodworkers of all stripes come to share a wealth of good information, offbeat humor and a unique camaraderie. Enjoy yourself, stay as long as you like, and don't hesitate to let us know what you'd like to see here. WoodCentral is by and for YOU! MESSAGES . 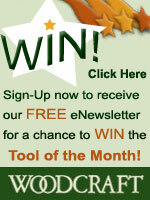 . . Get timely answers to your woodworking questions here! DAILY TRIVIA . . . Try your luck with our daily puzzler. TURNING . . . Air your turning questions and wisdom here. See continually changing examples of visitors' work in the welcome frame. HAND TOOLS . . . Discuss hand tools, techniques and related subjects with other hand tool enthusiasts. EVENTS . . . Announce your organization's upcoming shows, workshops and seminars here! LOOKING FOR SOMETHING? . . . Swap sources for PLANS, TOOLS, SUPPLIES and anything else that has to do with woodworking. CLASSIFIEDS . . . Buy, sell and trade woodworking tools and materials here. No commercial posts, please. CRITIQUES . . . Discuss the fine points of design or post photos and descriptions of your work for constructive criticism by our visitors. BENEFIT AUCTIONS . 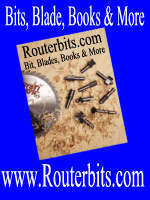 . . Offer and bid on work, books, anything you want to sell to raise money for WoodCentral. You could win one of our valuable prizes if your work is chosen as a winner in one of our craftsmanship contests ! Now over 400 articles uploaded! Browse through our growing collection of woodworking articles, product reviews, quick tips and memorable excerpts from our messageboards. Check out the entire Articles & Reviews Department from the well-respected and now defunct Badger Pond website. SHOP SHOTS OVER 680 SHOTS NOW UPLOADED! Here's where you can share glimpses of your shop, woodworking tips, methods of work, mug shots, or anything else that might interest other woodworkers. Send us YOUR photos and descriptions today! Here is a collection of articles by woodturner, author and WoodCentral regular Russ Fairfield on topics of interest to turners — design, finishing, technique, you name it! We're still adding to this valuable archive. Check out our great collection of essays from the great northeastern forest of New Hampshire and Vermont, ably compiled by woodsman and lifelong lumber purveyor, David Mather. Enjoy these wonderful insights into the trees and the critters that inhabit them. Gather around and enjoy Forrest Addy's fantastic accounts of logging in the Pacific Northwest at the turn of the century! Read excerpts from surveys conducted on the WoodCentral messageboards, as they've appeared in our bimonthly columns in Woodworker West magazine. At long last, WoodCentral is pleased to bring you the best darn page of woodworking links anywhere! Over 1,200 links in 24 categories so far, with more added every week! Browse to your heart's content, and submit your own favorites to our Linkmeister, Dan Donaldson. Links seem to change constantly, so please tell us about any broken or updated links you may find! Read short, to-the-point reviews of classic and not-so-classic books on wood and woodworking by resident bibliophile, Barb Siddiqui and others. 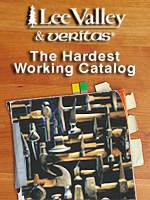 Wondering which woodworking books are worth reading? We've assembled four lists for your perusal: Best woodworking books; most essential books; best furnituremaking books; and bestsellers. WoodCentral is a visitor-supported site. Everyone who contributes to the cause is enshrined on this long (and getting longer!) list of donors. 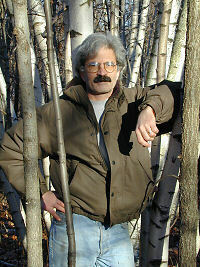 This site is maintained by Rod Peterson, former Badger Pond volunteer and Shop Tour producer. Rod promises to keep the Shop Tour tradition alive now that Badger Pond is no longer around. For those of you who would like to remember the past, as well as enjoy one of the most exhaustive woodworking resources anywhere, Andrew Field has assembled an archive CD of seven years worth of Badger Pond messages. Check it out! Jim Cummins' handy source list isn't getting any younger, but there are still a lot of good -- and some downright unusual -- entries in here, for all kinds of stuff. Expect some of the info to be out of date. It takes a community to support a labor-intensive website like WoodCentral. Your contributions, purchases and volunteer efforts all help to keep the lights on. Won't you join with the hundreds of others who value this site enough to contribute to its success? Here are some of the ways you can help. Our dear friend and longtime colleague, Jim Cummins, passed away on May 9, 1999. A scholar, artist, musician, writer, editor, humorist, and Internet pioneer, Jim was beloved by a host of friends across the country and around the world. © 1998-2004 by Ellis Walentine. All rights reserved. CLICK HERE to view our new "Marketplace" page and all our excellent sponsors.